Pierce Country Day Camp offers so many ways for campers to expand horizons and uncover new talents! We have an impressive array of premier creative and performing arts activities. Our talented arts Specialists bring out each camper’s creative potential. And best of all, everyone has tons of FUN as they sing, dance, paint, sculpt, and cheer their way to an amazing summer! Pierce’s energizing environment and top-notch creative and performing arts facilities offer the perfect setting for campers to tap into their inner super-star! Our state-of-the-art dance studio, professional stage and sound system, theatrical back-stage area and karaoke music studio are the ideal places to develop skills and showcase talents. Our beautiful Arts and Crafts facilities, including our Imagination Station and Studio Art areas, provide an inspiring backdrop for artistic expression. Pierce campers catch the spirit of imagination, color and light as they use many exciting mediums to bring out their inner artist! 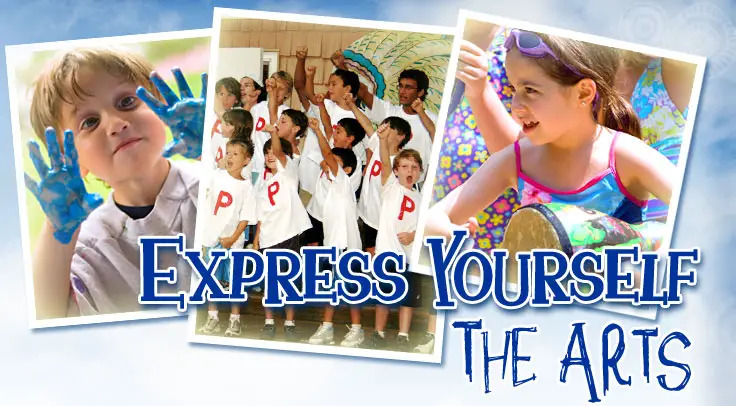 Professional Entertainment – Concerts, puppet shows, musical theater, and more!